Drivers protested outside City Hall in Nairobi before driving around the city honking horns. Uber released a statement encouraging members of the public to report taxi drivers on strike, threatening drivers with permanent account deactivation if there is any reports of "violence or intimidation". However drivers covered their number plates while protesting to protect themselves against retaliation. As well as San-Francisco based Uber, drivers at Taxify (Estonia), Mondo-Ride (Dubai) and Little (Kenya) are all on strike together. Many drivers work for all four firms. In March 2017, Uber raised fares by 20% after a series of strikes and protests by drivers. However it had cut fares by 30% in 2016 to undercut regular taxi drivers, who had been attempting to prevent Uber from operating in Kenya at all by blocking roads and occasionally harassing individual drivers. 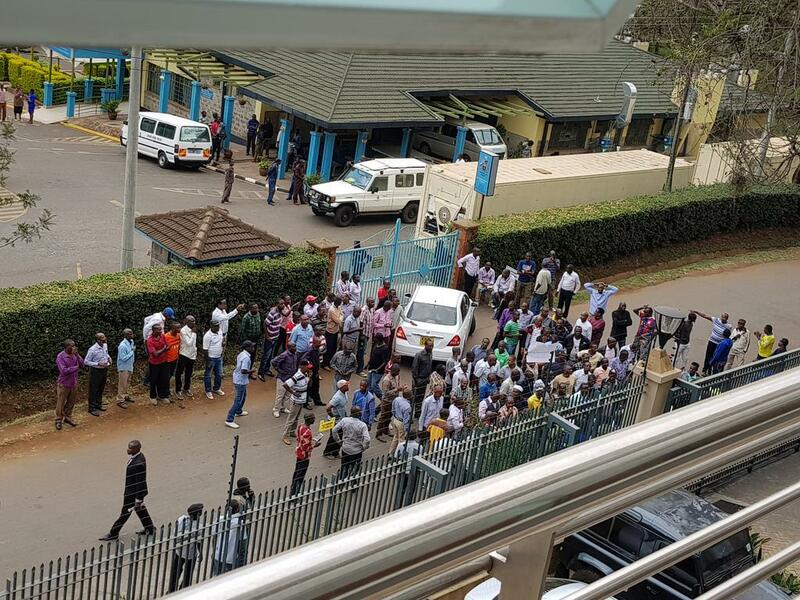 Uber drivers began their own strike in August 2016 against the fare cut, and organised the Kenya Digital Taxi Drivers Association which has been involved this week alongside the Kenya Online Transport Association and the United Online Cabs Association. Uber had also put commission rates up from 20% to 25%, one of the demands of the current strike is for this to be reduced to 10%. Kenya is not the only new market for Uber where workers are organising. In August hundreds of Uber drivers in Indonesia struck over conditions they described as 'modern slavery'. To add some more info: in 2016, Uber Kenya not only cut the fares by 30%, but also raised its commission fee from 20% to 25%. Afaik, this has not been retracted. Thanks I updated with this - one of the demands of the current strike is to reduce this to 10%.